Since the centennial of the War Between the States will be observed in 1961, it is fitting that we recognize the patriotism displayed by Berks County and by our city of Reading in this war. Throughout the history of our nation, the people of the United States have always responded loyally to any emergency that threatened the peace and security of their country. And it was the people of Reading and Berks who led the nation’s response in this great crisis. The title “First Defenders” is the name that was awarded five volunteer groups of Pennsylvania soldiers who were first to respond to President Lincoln’s call for militia to put down the rebellion of the South’s military forces which had fired on Fort Sumter. These volunteer militia companies included the Ringgold Light Artillery of Reading, the Logan Guards of Lewistown, the Washington Artillery and National Light Infantry of Pottsville, and the Allen Rifles of Allentown. Since it has been officially conceded that these five companies were first of all military forces in the United States to respond to the President’s call, it is our purpose to prove which one of the five companies was first of the first. The Ringgold Light Artillery of Reading, without a doubt, has the right to claim this distinction. Colonel Slifer’s memory was correct in his saying that the Logan Guards arrived on the morning of April 17, but he forgot that the Ringgold Light Artillery of Reading had arrived in Harrisburg on the evening of April 16. The consequences of his error was that the Logan Guards were given the place of honor, leading the victory parade; and the Riuggold Light Artillery, assigned the position of rear guard, refused to participate. To understand why the Ringgold Company felt it had been denied an honor it deserved, we must review the beginning of the Civil War. On April 11, 1861, General Pierre Beauregard, commander of the Confederate troops in Charleston, South Carolina, formally demanded the surrender to the Confederate States of Fort Sumter, then occupied by United States forces. This demand was promptly refused by Major Anderson, commander of the fort. On the next day, April 12, the Confederates opened fire on the fort and continued all day and night with the exception of four hours, when a thunderstorm caused them to discontinue firing. On April 15, the President of the United States issued a proclamation calling out the militia of the several states: “Now therefore I, Abraham Lincoln, President of the United States, in virtue of the power vested by the Constitution and the laws, have thought fit to call forth and hereby do call forth the militia of the several states of the Union to the aggregate number of 75 thousand, in order to suppress the said combination and to cause the law’s to be duly executed.” On the afternoon of the same day, the Secretary of War telegraphed to the Governor that a call had been made to Pennsylvania for 16 regiments—these to report within three days for protection of the capital, which lay defenseless. If the South had merely passed ordinances of secession and had not seized the treasuries, forts, vessels, and other property of the U. S., it is a question whether the Northern States would not have allowed the Southern States to secede without interfering, as Horace Greely of the New York Tribune had advocated. However, the firing upon the U. S. steamer, “Star of the West,” by batteries of South Carolina, and the bombardment of Fort Sumter on April 12 and 13 had aroused the patriotism of the North. Intense excitement and resentment, created in the cities and principal towns of the North, put the people in a fighting mood. We are assured from what we have witnessed and heard during the past week that the great heart of old Berks is in the right place, and that her sons with scarce an exception will be found loyal and true to the Stars and Stripes… In response to the President’s request for troops, Gov. Curtin was besieged by military officers from all parts of the state requesting their companies be drawn, and so great is the rush that the entire force of 75,000 men asked for could readily be obtained from Pennsylvania alone. Thus Berks-Countians can take pride in the fact that, during this rush to volunteer, the Ringgold Light Artillery of Reading was first to respond to the President’s call. One of the reasons for this was that it had been forewarned to prepare. On January 21, 1861, Captain James McKnight, commander of the Ringgolds, was visited by General William H. Keim, Major General of the Division, who informed him of the need to have this company ready to move on 24 hours’ notice, should an emergency arise. The government was in possession of secret information “tending to develop an intention on the part of the rebels to seize Washington on the 22nd of February . . .“ Thus the Ringgold Company began active preparation long before the actual outbreak of war. After this visit Captain McKnight kept his company in constant readiness up to the time it was called to active duty. When the President issued his call, the Ringgold Light Artillery was drilling on its parade ground a short distance from the city, and it was informed of the President’s call by a telegraph message. Immediately (on April 15) a telegram was sent to Governor Curtin by H. A. Lantz, stating, “The Ringgold Light Artillery are parading this morning with their guns for practice, have ninety men on parade, every one of them expecting to be ordered on duty for the U. S. Service before they leave their guns. The next day (April 16), Captain McKnight received the following telegram, “Bring your command to Harrisburg by first train. If any of the men need equipment, they will be provided here by the General Gov. Lose no time. By order of the government—Eli Slifer.” The dispatch was received at 11.20 A. M., April 16, by Captain McKnight, who stated in his report, “Acting upon this advice, I left Reading with my command, numbering 101 men, fully armed and equipped, on the evening of April 16, 1861, at 6 o’clock, reaching Harrisburg at 8 o’clock.” The reader will note that this was the evening of April 16—a full half day before the morning of April 17 when the Logan Guards arrived and, in Colonel Slifer’s faulty memory, were believed to be first to report in Harrisburg. Unfortunately, this order was countermanded by Eli Slifer, who telegraphed Captain McKnight, “You will please delay your march to Washington until ordered by the Governor.” If this order had not been sent, the Ringgold Light Artillery would have arrived in Washington before the other four companies reported for duty in Harrisburg! A final document that proves the claim of the Ringgolds is a certificate from G. A. Nicolls, who held the position of Superintendent of the Philadelphia & Reading Railroad at this time: “I do hereby certify the military organization called the ‘Ringgold Light Artillery,’ and commanded by Captain James McKnight of the city of Reading, Pa., applied to the undersigned on the morning of April 16, 1861 for transportation to Harrisburg, in answer to the call of the President of the U. S. for troops to defend Washington, and I do certify that said company consisting of about 100 men was transported to Harrisburg by the Phila. & Reading Railroad Company on the evening of said 16th of April, 1861, leaving Reading at 6:00 P. M. and arriving at Harrisburg at 8:30 P. M. the same evening.” (The discrepancy as to time of arrival—8 :00 or 8:30 P. M.—can be explained by the fact that this railroad official would be in possession of the actual report of the trip and would know that the train—scheduled to arrive at 8 :00—was late and arrived at 8:30). Before deciding the question of priority, we must first define just what the term “first” means. Does it mean first to offer its services, or first to respond to the President’s call, or first to report for duty in Harrisburg? We have already proven that the Ringgold Light Artillery can claim all three honors. For it immediately reported readiness for duty on April 15, was notified of acceptance and ordered to report at Harrisburg on April 16, boarded the train in Reading at 6:00 P. M. and arrived in Harrisburg at 8:30 P. M. on April 16—preceding the other companies by half a day. No authority existed on the part of the Secretary of War by any law or provision of the Constitution of the United States to accept the offer of troops ‘til the Proclamation of President Lincoln on April 15.” The National Light Infantry, together with the Washington Artillerists, left Pottsville on April 17, the day after the Ringgolds arrived in Harrisburg. Washington Artillery—Pottsville, Captain Wren, 110 men. National Light Artillery—Pottsville, Captain McDonald, 104 men. Allen Infantry Allentown, Captain Yeager, 64 men. Now that we have the five companies of First Defender’s in Harrisburg, let us dismiss this century-old controversy and rather rejoice in the fact that five companies of southeastern Pennsylvania were first to respond to President Lincoln’s call for the defense of Washington in a crisis that divided not only the States, but the sympathy and loyalty of people within each of those States. Upon the arrival in Baltimore of the First Defenders, via the Northern Central R. R. at about 1 :00 P.M., the companies left the train at Bolton Station and were formed in battalion in the following order: a detachment of regulars under Lieut. J.C. Pemberton on the right, next the Logan Guards, then the Allen Rifles, the Washington Artillery, and National Light Infantry, with the Ringgold Light Artillery as rear guard. Meanwhile Marshal Kane of the Baltimore police arrived to provide safe conduct, since it was necessary for the troops to march about two miles through the city to the other depot where they would embark for Washington. These five companies were the first Northern troops on their way to the capital to pass through Baltimore. Most history sources which describe this trip lose sight of the peril to these Northern troops of passing through the principal city of a state that sympathized with the South. The administrations both at Harrisburg and Washington had been notified that if any attempt was made to pass troops through Baltimore, they might expect trouble from groups of Southern sympathizers. Thus the First Defenders’ expedition was intended as a test of public sentiment in this Maryland city which had given early proof that it was opposed to the Union. It is probably true that this peril was the reason for Colonel Slifer’s sudden cancellation on the 16th of the order for the Ringgold Company to proceed to Washington alone. A larger body of troops would be safer. As the troops marched through the central city, they were confronted by an angry mob of Southern sympathizers, which vastly outnumbered them. The soldiers were under strict orders not to utter a word. This must have been hard to endure, for the mob shouted taunts, threats, and curses at the troops. From soldiers’ letters written home we have examples. Some of these taunts might have been considered funny, if the situation had not been so serious: “D’ya see that tall, four-eyed monster,” said one, pointing to a towering private; “Jeff Davis will ventilate his window panes in nine days.” “You will never go back to Pennsylvania for any more sauer kraut,” said another, pointing to a Dutchman; “Jeff Davis will give you saner kraut enough!” The example of silence set by the company of regulars did much to keep the volunteers from replying to these jeers. The slightest retort might have caused a riot. And the police could not be depended upon, for they seemed to enjoy the taunts of the mob. It is to their credit, however, that no serious consequences occurred, such as met the Massachusetts Sixth on the following day. On arriving near the center of the city, Lieutenant Pemberton filed off toward Fort McHenry with his detachment of regulars, leaving the volunteers to pursue their way to the station alone. The fact that the soldiers were practically unarmed added to their danger. The Logan Guards carried 34 Springfield muskets and were uniformed exactly like regulars, but they had no ammunition. A few of the officers and men carried loaded revolvers, but there wasn’t a charge of powder in the five companies. One of the Logan Guards carried a box of percussion caps in his pocket. He had distributed these to the men who carried the Springfield muskets, which they capped and carried half-cocked, creating the impression that these muskets were loaded. Thus the leaders of the mob were restrained from starting a bloody conflict with the soldiers. The Ringgold Light Artillery fared even worse, for it had been ordered to leave its field artillery in Harrisburg, and was armed only with sabers. These men had been reluctant to abandon guns which they kept beautifully burnished and to which they had become attached, as soldiers do. (These field pieces were eventually returned to them on May 16). And the other companies had left their muskets in Harrisburg because they were promised modern arms on arrival in the capital. When the volunteers reached the train for Washington, the mob attempted to disconnect the engine from the cars. But the men were put into cattle cars, and the train pulled out amidst the yells and brick-bats of the mob. Fortunately, no one was seriously injured. The First Defenders arrived in Washington at about 6:00 P.M., April 18, 1861. Under orders of the Secretary of War, they were quartered in the committee rooms and corridors of the Senate and the House of Representatives. 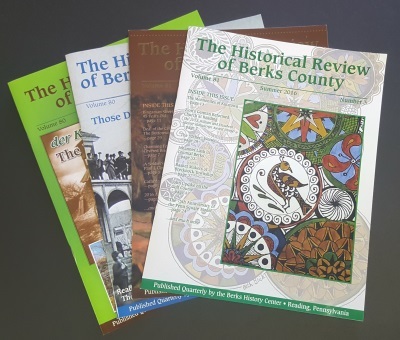 (One writer remarks that “This is the first and only time that Berks County had 100 representatives in Congress!”) A few hours later they were moved to the basement of the Capitol, where they turned in their few muskets and received new Springfield rifles and ammunition from the Washington Arsenal. To the credit of the courage of these First Defenders it must be recalled that Washington, D.C. was surrounded by hostile territory. The April 18 issue of the Pennsylvania Telegraph reported, “Washington at this time presents a decidedly military appearance.” Many new recruits were rapidly enrolling and were still without uniforms and equipment. The city was filled with rumors that the “Rebels,” who had been drilling in full view on the opposite side of the Potomac, would attempt to capture Washington by first gaining control of the Arsenal and Navy Yard. This plan would include the rebellious element in Baltimore which, rumor said, had been purposely strengthened by men from the South. Because the Rebels were expected at any moment, the Capitol was barricaded with thousands of barrels of flour which had been seized at Georgetown. Meanwhile, efforts were being made to concentrate a large military force around Washington. The First Defenders must have presented quite a spectacle, occupying the armchairs which were once filled with Representatives of the people, and using them as beds. The Penna. Telegraph resumes, “Captain McKnight was asleep in the Speaker’s chair while his two first officers were sleeping in chairs at the Clerk’s desk.” The privates, who slept on the chairs and floor, complained of stiffness resulting from their hard marble beds. One man wrote home: “Hereafter, I need not ‘dream that I dwelt in marble halls,’ for this magnificent edifice is a polished quarry of the finest marble conceivable !“ However, humorous as this might seem at this late date, they did suffer some hardship, for none of the necessities such as blankets was furnished by the government, and everything had to be paid for out of the individual’s pocket. Yet there was little dissatisfaction among the men. For the first few days the Ringgold Company did little regular duty, but served as guard of honor at the Capitol. Though attempts had been made at Harrisburg to have them serve as infantry, eventually the Ringgolds were mustered into their chosen service, as artillery. On April 19, 1861, the day after the arrival of the First Defenders, the 6th Regiment of Massachusetts Volunteers was beset by the same Baltimore mob that had persecuted the First Defenders. This mob attacked the soldiers with bricks, stones, guns, and pistols. Forced to defend themselves, the soldiers returned fire, killing and wounding a number of rioters and losing four men of the regiment. After this attack the Governor of Pennsylvania issued an order that all troops must be fully armed and equipped before leaving the state. From April 19 to May 13 Washington was cut off from direct communication by rail with the North. But by the end of April the city had a large enough force— 5,000 troops—to defend the Capitol Building, and the First Defenders were no longer needed there. Thus on July 23, 1861 the Ringgold Company was ordered to report to Captain Dahlgren of the Navy Yard, where three 12-pound howitzers were assigned to them. On the 25th of April, a sergeant and six men volunteered to take charge of a howitzer on board the steamer “Powhatan,” which was to make a reconnaissance down the Potomac to investigate the possibility of the Confederates building any forts. On May 13, General Butler occupied Baltimore with one thousand men, re-establishing communication between Washington and the North. Although he had no orders to do this, he did provide much relief to the troops stationed in Washington. After spending several more days at the Capitol, the Ringgold Company was transferred on order of the Secretary of War to the Washington Arsenal. Here it remained until the expiration of its service, but during this time the men were also engaged in mounting guns in the forts about Washington. Upon completion of their tour of duty, several of the men of the Ringgold Light Artillery were transferred to the regular army. These men were James McKnight, George Green, Charles P. Muhlenberg, and George Lauman. This display of patriotism shown by men of the First Defenders who left their homes, families, and jobs to defend the nation’s capital was an outstanding feat which gained the praise of the U. S. Government on the 22nd of July, 1861, when the House of Representatives unanimously passed the resolution: Resolved: That the thanks of this house are due and are hereby tendered to the 530 soldiers from Pennsylvania who passed through the mob at Baltimore, and reached Washington on the 18th of April last, for defense of the National Capitol. Also, on May 26, 1861, the General Assembly of the Commonwealth of Pennsylvania made an appropriation of $5,000 for medals to be presented to the First Defenders. The medals authorized were made of bronze, in the shape of a Maltese Cross, with the Capitol of the U. S. as a centerpiece. These medals were made at the U. S. Mint in Philadelphia (see illustration). The patriotism of the people of Pennsylvania was expressed in many ways during the Civil War. Not only did the men respond by enlisting in the army, by organizing militia regiments, and by subscribing money; but the women organized many “Ladies Aid Societies” for the purpose of collecting money and supplies and to provide food, clothing, hospital supplies, and nursing service. In this area of feminine service, happily, Reading and Berks County have another “first” to add to the First Defenders. For the Ladies Aid Society of Reading has the honor—according to historian, Morton L. Montgomery—of being first of its kind in the nation. The hard work these loyal women put forth can best be illustrated by the fact that tons of material were collected and forwarded to the armies of the North. And the Ladies Aid Society also served at the U. S. Military Hospital, located on the Fairgrounds of Reading, 1862-1863—in caring for the sick and wounded soldiers of this war. Thus it is established that the Ringgold Light Artillery of Reading was the first company of the First Defenders to respond to President Lincoln’s call for the defense of the national capital. But the significance of which one of these five gallant companies was first—by a few hours—diminishes when we consider the colossal issues involved. For here in Pennsylvania, the “Cradle of Liberty,” William Penn’s “Holy Experiment” was first worked out to give equality of opportunity to men of all races and religions. Here, in Pennsylvania, the national Constitution that guaranteed those liberties was written, and the Union of States that defended them was forged. Let us rather rejoice that our city and county shared decisively in Pennsylvania’ s defense of that protective Union when it was in peril. Victory of the Union made our nation strong, and gave us a light of hope to shine out before all the oppressed people of the world. This article originally appeared in the Spring 1961 issue of the Historical Review of Berks County.